Hey Guys!! It’s time to really have the colors popping. I have heard so many people saying that when they wear colors, especially bright colors, that it really puts them is a good mood. 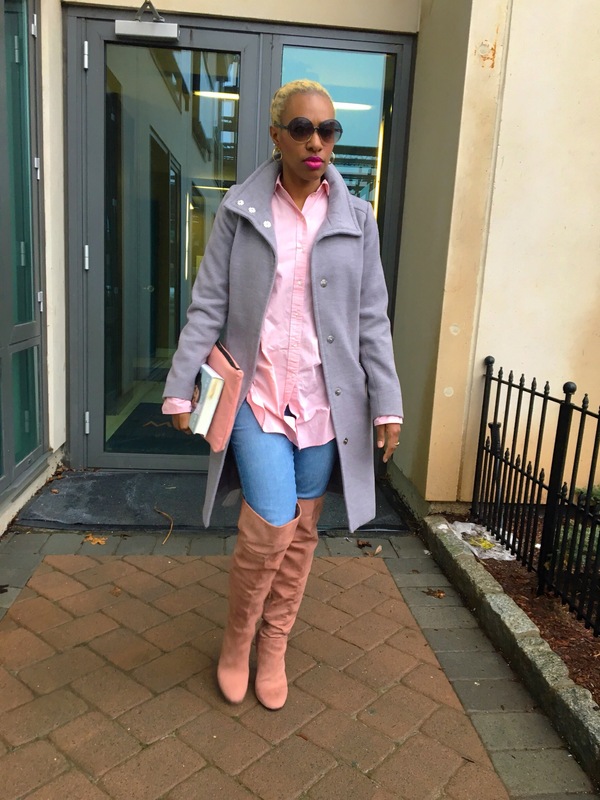 So I have started out with some pastel, here I have a blush pink shirt and over the knee boots which covered my color fix. I added the gray coat because it it still cold and I wanted some contrast. What colors brightens your mood? Previous PostPrevious Eyes Wide Shut!!! Next PostNext Well Hello Spring!!! !